Dylan Farrow, Ronan Farrow and more family members are hitting back at Woody Allen‘s wife Soon-Yi Previn for her comments regarding Dylan and mother Mia Farrow‘s allegations against the director. 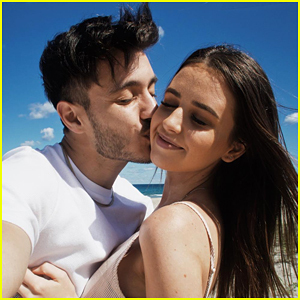 Following a profile published on Sunday evening (September 16), in which Soon-Yi suggested that Mia was “taking advantage of the #MeToo movement” and “parading” Dylan around, Dylan, Ronan and more spoke out in a series of statements. “Thanks to my mother, I grew up in a wonderful home, filled with love, that she created. I have a message for the media and allies of Woody Allen: no one is ‘parading me around as a victim’ – I continue to be an adult woman making a credible allegation unchanged for two decades, backed up by evidence,” Dylan wrote. “As a brother and son, I’m angry that New York Magazine would participate in this kind of a hit job, written by a longtime admirer and friend of Woody Allen‘s. 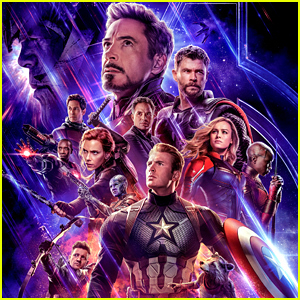 As a journalist, I’m shocked by the lack of care for the facts, the refusal to include eyewitness testimony that would contradict falsehoods in this pieces, and the failre to print my sister’s responses,” Ronan added. See their full statements below. Diane Keaton is defending Woody Allen amid accusations of sexual abuse by Dylan Farrow, his adopted daughter. In recent weeks, Timothee Chalamet, Greta Gerwig, Rebecca Hall and more have all vowed to never work with Allen again. Alec Baldwin has voiced his support for Allen. Allen and Diane have collaborated numerous times over the years in movies like Annie Hall, Manhattan, and more. 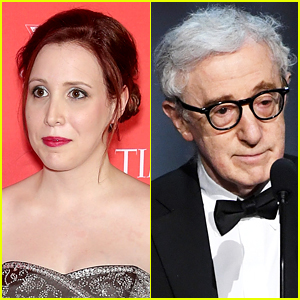 Dylan Farrow is detailing her alleged sexual assault at the hands of Woody Allen in a new interview that aired on CBS This Morning on Thursday (January 18). Dylan Farrow is speaking out in a new interview about the allegations of sexual abuse she made against her adoptive father Woody Allen years ago. Farrow, whose mother is actress Mia Farrow, recently wrote an op-ed questioning why Harvey Weinstein and other Hollywood figures have been cast out by the industry during the #MeToo movement, but Allen still is getting major deals and accolades. 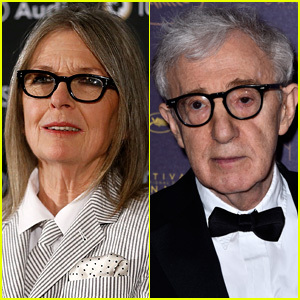 Allen was accused of sexually assaulting Farrow when she was just seven-years-old, but he has repeatedly denied the claims. “I am credible and I am telling the truth and I think it’s important that people realize that one victim, one accuser, matters. And that they are enough to change things,” Dylan said in an interview with CBS This Morning, which will air on Thursday. Mia Farrow's Son Matthew Welcomes Baby, Dylan Is Due Soon! Mia Farrow‘s son Matthew and his wife Tea have welcomed a baby girl! 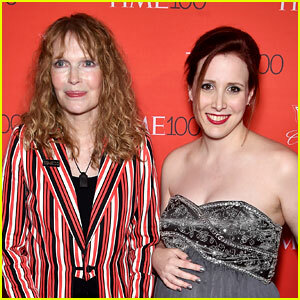 Initial reports said that Mia‘s daughter Dylan Farrow, who is pregnant with her first child, had given birth. Mia tweeted us to correct the report. “it was my son Matthew and his wife Tea who had the baby last night. Dylan is expecting her baby soon ❤️,” she said. 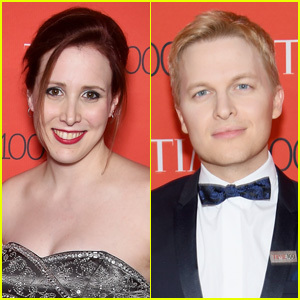 Dylan Farrow Reveals She's Pregnant with a Baby Girl! 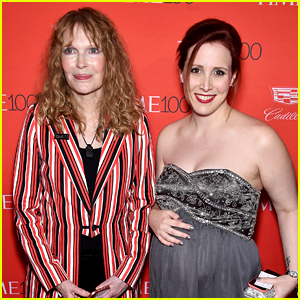 Dylan Farrow holds her baby bump while walking the red carpet at the 2016 Time 100 Gala on Tuesday (April 26) at the Time Warner Center in New York City. The 30-year-old daughter of Mia Farrow, who she accompanied to the gala, told People that she is expecting a baby girl in the fall and that she’s four months pregnant.